Get paid whilst keeping the customer. Create adequate urgency so the customer knows you mean business. Remove the emotion and focus only on your money. Help the customer in order to get them to pay. Follow up and ensure they pay as promised. You will walk out of the session a changed person, with a brand new appreciation of your own ability to ensure all customers pay on time, every time. Presenter: Nationally-recognised debt collection guru Paul Metcalf, who has personally collected over $50 million in his career. 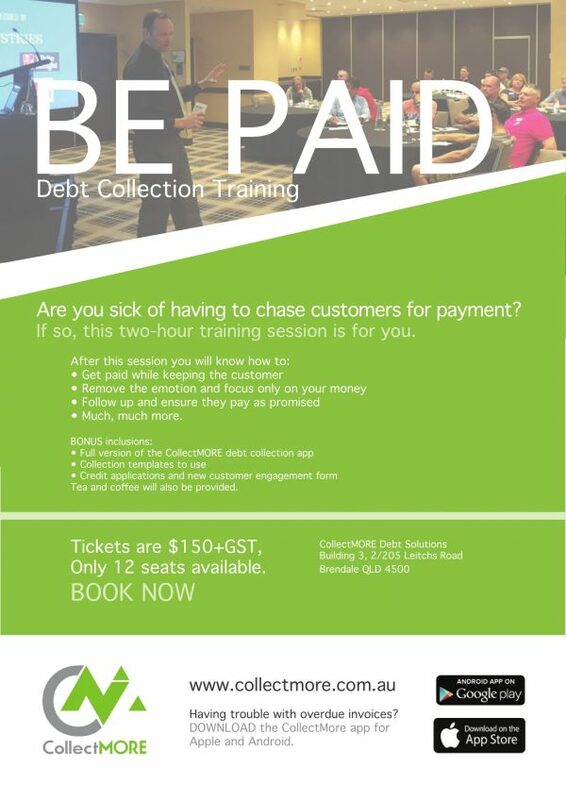 – 2 hour intense debt collection training session, tailored exclusively for small business owners. 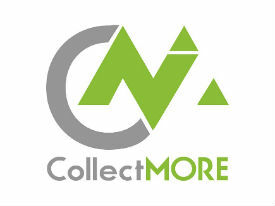 – Full version of our CollectMORE debt collection smartphone app which is currently in the Top 50 iTunes charts. – Two, full-function credit application and engagement forms for all your new customers to complete. – Email and letter templates to use along with various other learning resources. Availability: Places are EXTREMELY limited to 12 only and fill up very fast. How to book: See above to buy tickets and secure your spot.